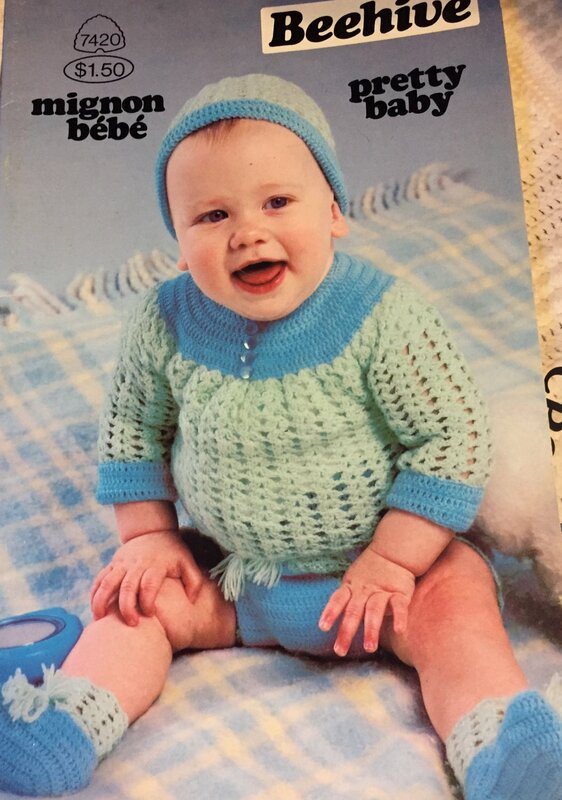 This is a baby crocheting and knitting pattern from Patons caled Pretty Baby. It has many outfits for babies. It has UK Needle sizes with US conversion chart included. Most are knitting patterns but some are crochet.